Clothes make the man, and labels make brands. The exclusivity of prestige products is increasingly conveyed through the exclusivity of the labels and packaging materials used to express their brand identity. Together with the renowned Gmund Paper Mill, self-adhesive labelstock manufacturer VPF GmbH & Co. KG based in Sprockhövel (Germany) has developed a new collection of premium self-adhesive labelstocks for upmarket branding. Presented to the industry for the first time at the LabelExpo in Brussels, the portfolio creates the basis for unique brand experiences – with a distinctive look and feel. Without its label and packaging, a champagne bottle, a flacon or a tea canister would be nothing but a neutral container without identifier, recognition value or branding. To transform sparkling wines, perfumes and teas into instantly recognisable brands, self-adhesive labelstock manufacturer VPF and Gmund Paper have collaboratively developed a unique collection of self-adhesive papers for premium labels – Gmund Label. The Gmund Label portfolio comprises 30 very different varieties, many of which have colours and surfaces that are identical with existing and well-known Gmund papers that have already been used for diverse premium packages and print products. A brand boosts its recognition value by using one and the same paper for a product’s label, its hangtag, its cardboard packaging and the brochures for its advertising campaign. Thanks to the label on the perfume flacon, the brand’s image stays on the bathroom shelves for all the time the product is in use. The newly developed self-adhesive range attracted great attention and strong interest at its debut at the LabelExpo in Brussels. International visitors from the label industry particularly praised the exceptional character and the versatility of the Gmund Label collection. Twelve pure-white and moisture-resistant label papers feature impressive textures such as wood, leather, cork or canvas. Shimmering effects are produced by the silver- and gold-coloured labels with Gmund’s microembossing technique, which further heightens the gleam from an extra-large quantity of metallic pigment. The intense and likewise gleaming neon colours “Nuclear Acid” and “Pastel Heart Attack” are guaranteed to capture undivided attention. 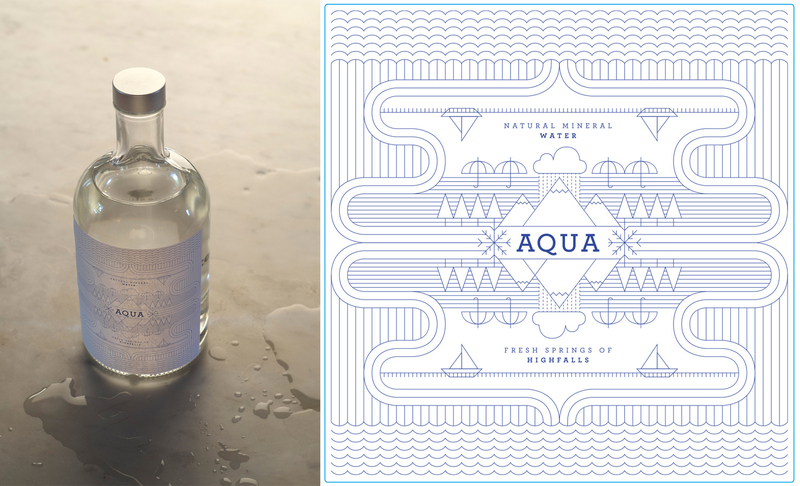 Gmund labels with admixed bark or straw underscore a brand’s natural aesthetics. The collection’s highlight is the Gmund Mohair Label: with sensational technical, visual and tactile characteristics, this paper combines a velvety soft touch with the full adhesion power of a professional paper labelstock. 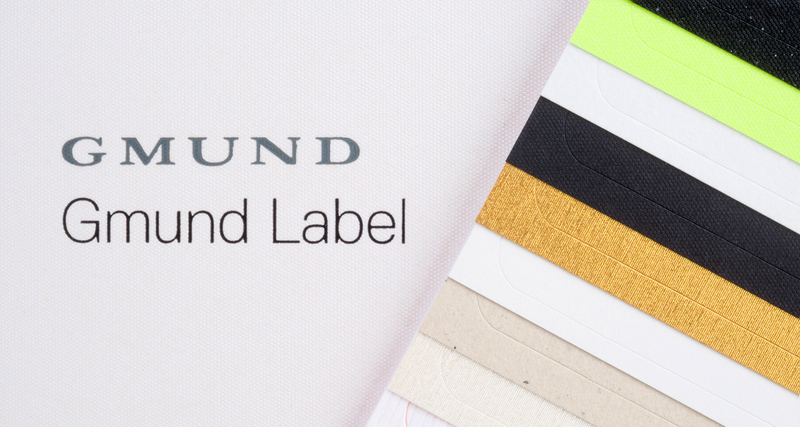 Each of the 30 Gmund Label papers has its own special trait. And all of these papers embody the outstanding quality and innovative power of the product and brand that they adorn, enhancing their individual character and value. As Gmund’s development partner, VPF is also the exclusive partner for the self-adhesive coating and the technical sales of these products and ready to support all label printers with its long experience and applications expertise. Gmund Labels are offered only with the matching specialty adhesives. The standard adhesive is the high-strength permanent pressure-sensitive hotmelt adhesive HM 347, which shows outstanding application properties even on slightly moist and cold surfaces. HM 347 is also approved for direct food contact. It has high initial and final bond strength with good cohesion and is even seawater-resistant to BS 5609. Another high-strength adhesive has been developed specifically for the Gmund Label grade ‘Mohair’: the acrylic adhesive 925. All self-adhesive papers of the Gmund Label collection can be ordered from VPF as labelstocks in rolls (minimum quantity 500 m²) and sheets (minimum quantity 1,000 m²). The standard liner is white 63 g Glassine B700-473 or 88 g Kraft liner NSA850. On request, both the adhesive and liner can be specifically adapted for the particular area of application. Headquartered in the town of Gmund at Lake Tegernsee in southern Germany, the Gmund Paper Mill is a traditional family business employing a staff of around 120 people. The business is presently directed by Florian Kohler. Gmund has stood for paper culture since 1829.Traditional production methods are perfectly harmonized with ultramodern technology and creative design. Gmund specializes in high-quality papers and cardboards. The focal points are innovation, ecology and tradition.